Who is Cal Kestis, where is the Padawan’s master and just what’s the deal with all the mystery surrounding his Lightsaber? So many questions, near-to zero answers. Despite revealing Star Wars Jedi: Fallen Order to the world during Star Wars Celebration over the weekend, fans have been left hanging by developer Respawn in regards to some of the heavily story-focused affair’s wider narrative beats. Obviously, Respawn would rather let the game speak for itself, rather than prematurely spoil everything in advance, but that hasn’t stopped fans speculating to no end over potential plot and gameplay details. More than any other, one topic has attracted huge amounts of interest since Jedi: Fallen Order‘s reveal and it concerns Cal’s Lightsaber. In the panel following its grand debut, game director Stig Asmussen fielded questions from fans concerning the trailer’s contents, with one quizzing him on the trademark Jedi weapon of choice. Besides playfully implying that Cal’s Lightsaber once belonged to another before him, Asmussen says revealing too much at such an early stage is difficult, as the topic is just “full of spoilers.” He does, however, confirm that “over the course of the game, it will grow and evolve,” adding that “In many respects, it’s kind of a reflection of Cal.” Given its general vagueness, Asmussen’s statement leaves huge room for interpretation. Given how worn and weathered the weapon appears to be in the trailer (the hilt’s bottom half is missing, exposing wiring), it’s likely that players will incrementally be able to upgrade Cal’s Lightsaber with new abilities during play, but it’s Asmussen’s latter hint that asks interesting questions of its own. If the weapon is meant to serve as a reflection of Cal, will it change colour and appearance depending on player choice? Perhaps it’ll take on a reddish hue for those with Dark Side leanings? 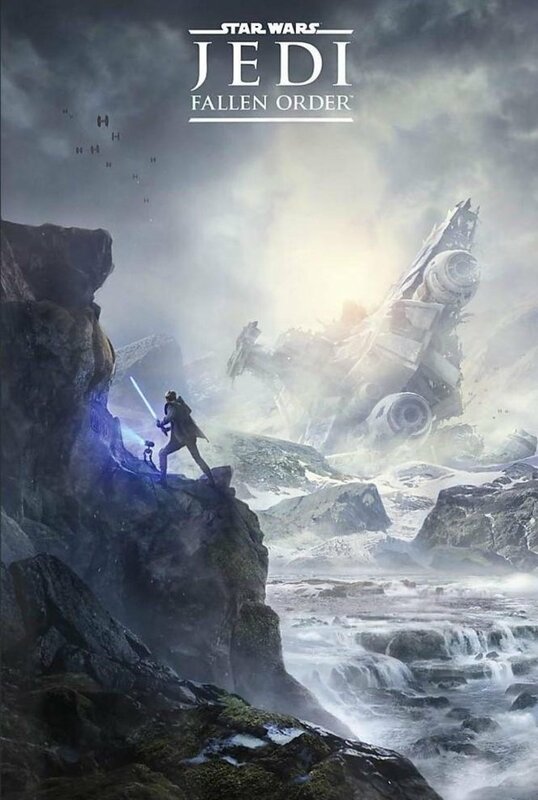 Regardless, we’ve no choice but to wait and see what Star Wars Jedi: Fallen Order has in store for us.